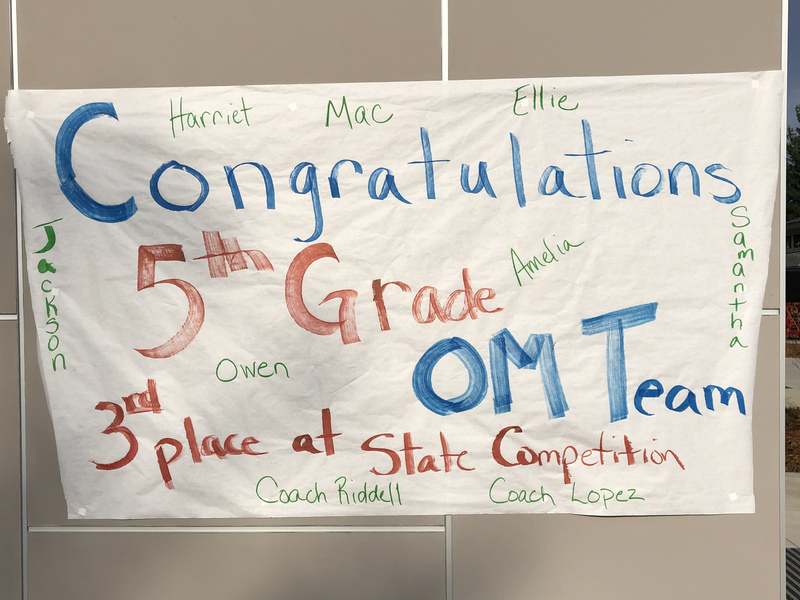 Carolina Day School’s Odyssey of the Mind (OotM) team had a great showing at the 2019 state finals this weekend at East Carolina University in Greenville, earning a third-place finish in their division. 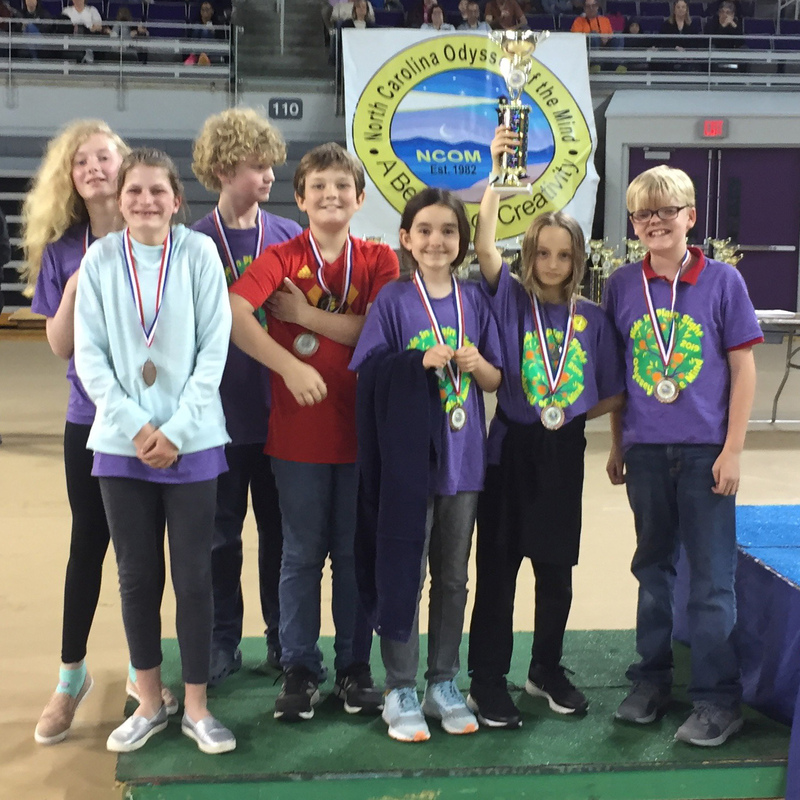 The CDS team is comprised of Grade 5 students Amelia, Ellie, Harriet, Jackson, Mac, Owen, and Samantha. Coaches for the team are Ian Riddell and Shana Lopez. During the competition, students were challenged to solve problems using creative thinking skills. They had to work together to solve what the competition calls “Long Term Problems” and make their presentations. 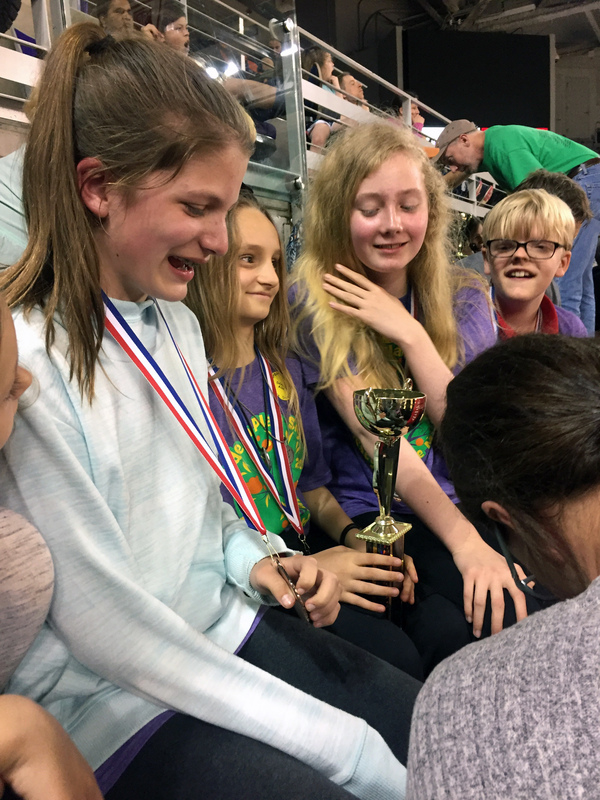 Coach Ian Riddell described the team's approach to the problem: "The CDS students built a small robotic snake that could camouflage itself in a variety of settings—sometimes with movement and sometimes with color. Then they crafted a fable about a kingdom that is trying to get rid of the pesky snake in time for the ball. A couple of crafty old wizards are able to reveal the snake’s true identity with patience and a bit of magic."